We’d like to introduce you to your team! Scott and I believe in hiring the best of the best! Our staff of certified technicians gets the job done right the first time, and is dedicated to providing our customers with outstanding service. We regularly get calls and notes from our clients with kudos for our guys on a job well done. Because we value our employees, we offer paid holidays, paid vacation, and health and dental plans to our staff and their families. Our fleet of trucks is radio dispatched and equipped with TELOGIS GPS tracking system to ensure reliability and accountability for your service needs. Using this technology we can track our service technician’s location and time at your home. We take before and after pictures of your filter elements with a date and time stamp when we clean your filters. I have owned Leisure Time Pool Service & Repair since 1995 and I am the CEO. I am a very active in IPSSA (Independent Pool and Spa Service Association) and have previously served two terms locally as Sacramento Chapter President, on a national level served two terms as Region One Director for Northern California, and as their Chief Financial Officer for two years. I was Chairman of their Education Committee focusing on the education and training of pool service technicians. I am in the Rotary Club and a member of the Chamber of Commerce for both Rancho Cordova and Sacramento. I am a member of PPOA (Professional Pool Operators of America), a CPO (Certified Pool Operator) and hold a contractor’s license for swimming pools. I am certified in all major equipment for repairs, installation and energy efficiency. I am a proud owner of a family business that provides jobs in the community and quality service to our customers. 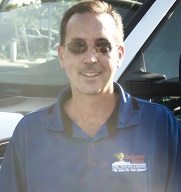 I have owned Leisure Time Pool Service & Repair since 1996 and I am the President. I am very active in the IPSSA (Independent Pool and Spa Service Association) and served as the president for the Capital Valley Chapter of Northern California for the past six years. I specialize in repairs of all major brands including controls, pumps, heaters, etc. I have a contractor’s license (C-53) for building swimming pools and I am a CPO (Certified Pool Operator). I am also a Certified Aquatic Energy Auditor trained specifically on how to save energy and your money while operating a swimming pool. I specialize in total automation and remote monitoring of your pool equipment and chemicals. I have two noisy Beagles and enjoy a lot of different activities in my leisure time including: scuba diving, motorcycles, off road vehicles, boating, etc. I look forward to providing excellent service for all your repair, installation and equipment upgrade needs. I have over 30 years of experience in the service & repair industry and over 25 of those have been in the pool/spa field. In order to provide you with your best options, I continue to acquire training, knowledge, and experience in our ever growing and changing industry. I am dedicated to providing quality and efficient repair service for all aspects of your pool & spa. I have been in the pool industry for 20 years. I am CPO Certified for commercial pool service. I have extensive knowledge of all major pool equipment including but not limited to Pentair, Hayward and Jandy. As Route Supervisor I oversee and guarantee quality service from all the pool technicians at Leisure Time Pool.